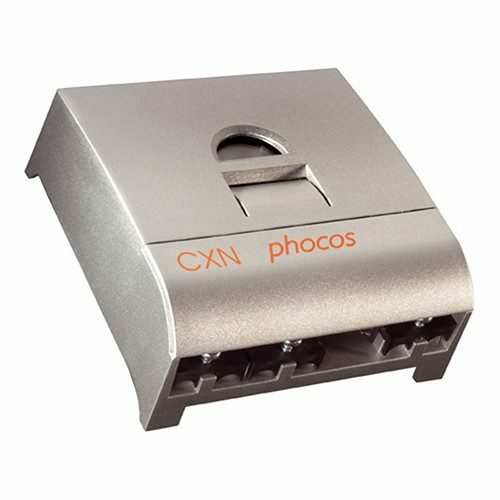 The Phocos CXN40 Solar Charge Controller 12-24V 40A is a sophisticated solar charge controller family with exceptional features for its price range. Besides a perfect PWM regulation with integrated temperature compensation, the controllers provide excellent display, programming and safety functions. The battery state of charge is clearly displayed with a bar chart, as well as energy flows from and to the battery, and the load status (e.g. overload, load short circuit). The deep discharge protection function can be set up to three different modes: voltage controlled, SOC controlled or adaptive (fuzzy logic). Acoustic warnings are built in and also a programmable night-light function. As an accessory we can provide an Excess Energy Management output to control special Phocos appliances like the SF solar refrigerators/coolers. The compact case design is prepared for DIN rail mounting (mounting device available as an accessory). The founders of Phocos set their sights particularly on off-grid applications which are solar-powered isolated applications with no connection to the central power grid. The demand for off-grid solar-power systems is continuously on the rise in the world’s various industries. The demand is also very high in the rural regions of developing and emerging economies. This trend is due to lower installation and operation costs, sustainability and the convenience of mobile application options. Join our ZERO Home Bills Community.